CB2810 is a tetracyclic antidepressant which Cennerv Pharma is re-purposing in a phase II, proof-of-concept trial for the use in insomnia and patients moribund with psychiatric disorders. Insomnia is a persistent disorder where individuals have difficulty falling asleep or staying asleep. One-year incidence rates are approximately 30% for insomnia symptoms and close to 10% for insomnia syndrome1 which is characterized by frequent episodes of insomnia. The US Centre for Disease Control (CDC) estimates that 50-70 million US adults have sleep disorders or suffer from insomnia2. Psychiatric disorders represent the most common comorbidities in insomnia. A psychiatric diagnosis is present in 40% of people with insomnia3. 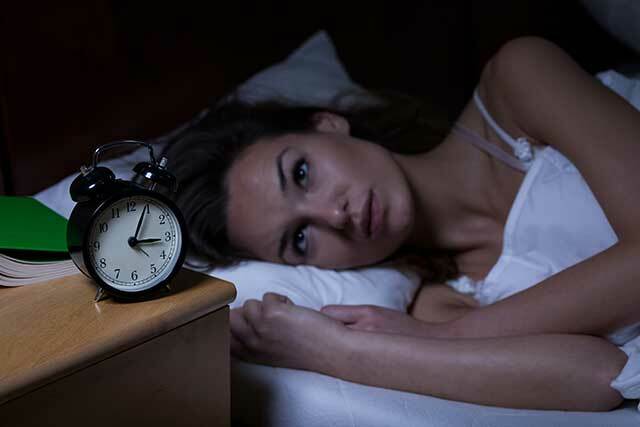 Insomnia that is comorbid with psychiatric disorders, medical disorders, circadian rhythm disorders, or substances or medications accounts for nearly 85-90% of chronic insomnia4. Insomnia is currently treated using hypnotics which tend to induce sleep but not persistently maintain it. In 2008, the prescription insomnia therapeutics market was estimated at US$3.3 billion worldwide; in the United States, approximately 70 million prescriptions were written annually for insomnia, representing a US$1.8 billion market, with a 5-10% annual growth rate5. Among the drugs used are e.g. short-intermediate acting benzodiazepine receptor ago­nists (BZD or newer BzRAs) or ramelteon. Examples of these medications include zolpidem, eszopiclone, zale­plon, and temazepam (z-drugs). Further options include sedating antidepressants, especially when used in con­junction with treating comorbid depression/anxiety including trazodone, amitriptyline, doxepin, and mirtazapine and atypical an­tipsychotics (quetiapine and olanzapine). Many of the insomnia drugs may cause drowsiness, dizziness, fatigue, headache, and unpleasant taste. There is a risk of impaired driving in the morning or falls among the elderly population after taking some of these medications. An unmet medical need in the insomnia market is the absence of drugs that promote sleep maintenance without causing rebound insomnia or next-day residual effects, and improve both subjective and objective parameters of sleep restoration. LeBlanc M et al. Incidence and risk factors of insomnia in a population-based sample. Sleep. 32 (8):1027-1037, 2009. Ford DE and Kamerow DB. Epidemiologic study of sleep disturbances and psychiatric disorders. An opportunity for prevention? JAMA. 262: 1479-1484, 1989. Ohayon MM. Epidemiology of insomnia: What we know and what we still need to learn. Sleep Med Rev. 6: 97–111, 2002.